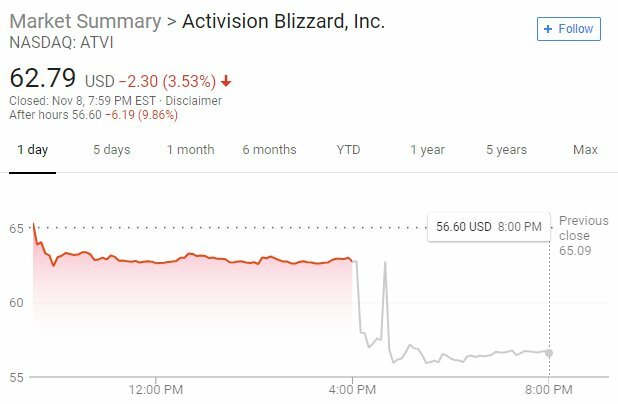 Activision Blizzard $ATVI saw its share price fall from $84 to about $62 in October to 11/8. Then its Q3 earnings report spooked investors further and price will likely open during the 11/9 session around $56. 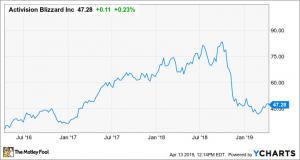 A Diablo (game) release backlash, disappointing Blizzcon, and now a disappointing Q3 earnings especially on guidance, are just too much for investors to handle at a risk-averse environment. - Note that price action failed to clear back above $70 at the end of October. - It remained bearish ahead of earnings and was testing/cracking the $63.30 support pivot. 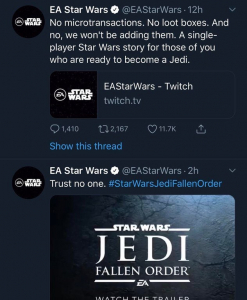 - I personally think this triple whammy has given us an overreaction. - In the short-term, we might NOT want to buy on the dip yet. As they say, don't catch a falling knife. - However, I think ATVI is still a strong company. - I can see it no longer bullish and needing to consolidate for a while (could be a couple of years). - However, I don't think it will turn bearish outside of the short-to-medium-term (up to few months). 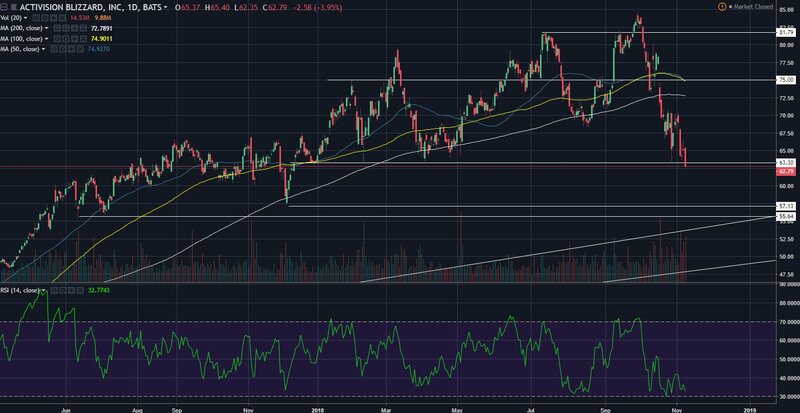 - In terms of price, I will be looking for support around the $50 mark. 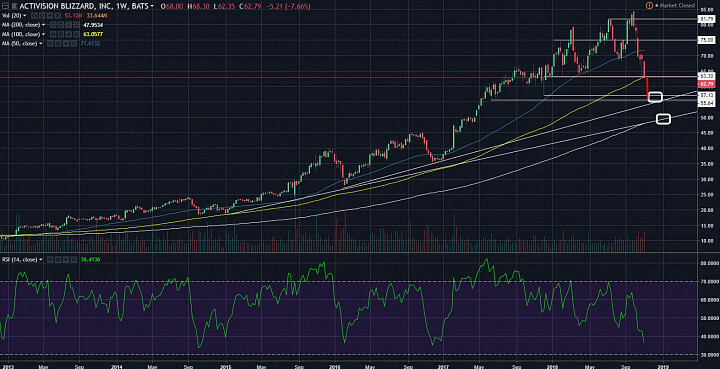 - On the weekly chart, we can see that there is a rising trendline and the 200-week SMA that are support factors for ATVI if it falls to $50. - Below $50, $45 is a support/resistance pivot. - While upside is limited in the medium-term, I think falling $45 to $50 range would represent an overreaction of the recent negativity. - Even at $55-$56 we might see some short-term bounce to test $60 as resistance. If $60 does act as resistance, we can be more confident of the downside towards $50.